On my twitter, you’ll have seen tweets about my LASER EYE STORY (all in caps, forever) and also my enduring love of fanfic (here, have a thread of Bucky Fics That Have Destroyed Me). Thusly, you may extrapolate~ I spend a bit of time on the Archive Of Our Own (aka AO3), a fan-run multi-fandom platform for (primarily) fanfiction, which has a tagging system to which all others can but aspire. Seriously: check out some random tags. Now the search function. It really helps narrow down that One Fic you’re looking for. Friends to lovers? Sure. Coffeeshop AU? Absolutely? Consentacles? You better believe it. 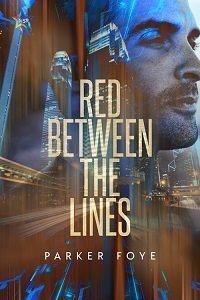 Red Between the Lines: Links gone wide!